If you’ve missed any of the updates on our news blog over the last week you can catch up easily with this list of our articles published over the last seven days. Just click on the link to read the blog. Don’t forget that all of our older stories are still available to read again in our archive. 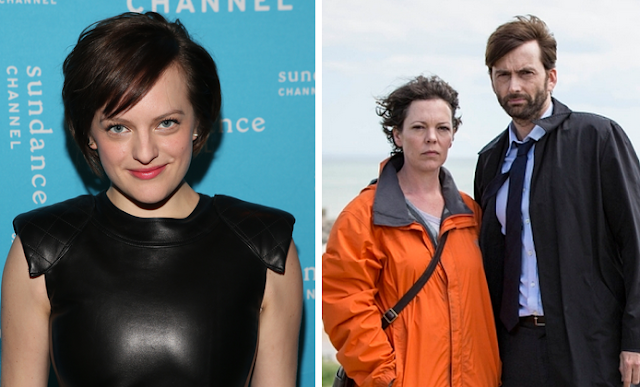 The second season of the award-winning UK drama Broadchurch premieres on RTL4 in the Netherlands from 19:00 tonight. 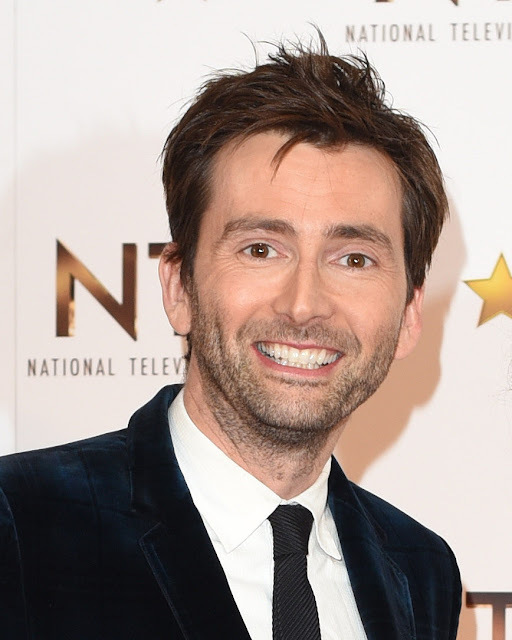 David Tennant and Olivia Colman return as detectives Alec Hardy and Elie Miller with Arthur Darvill, Jodie Whittaker and Andrew Buchan and new cast members Eve Myles, Charlotte Rampling and James D'Arcy. The action begins just a few months after the shocking conclusion to season 1 as the residents of the small town of Broadchurch try to move on from the horror of Danny Latimer's murder. The new season will be airing on Sunday nights, two episodes per week. 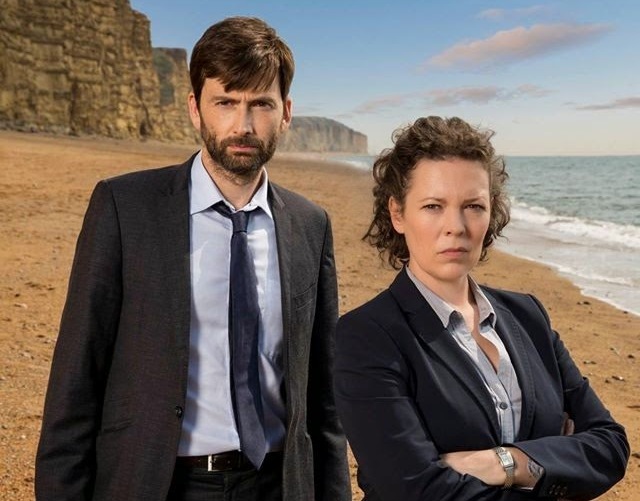 Broadchurch - Seizoen 2 Aflevering 1 - 19:00 Aflevering 2 - 20.00 RTL4 De inwoners van Broadchurch hebben moeite met het verwerken van de schokkende gebeurtenissen die hebben plaatsgevonden. Een nieuwe ontwikkeling in de zaak van Joe Miller verrast de rechtbank. Een vrouw die betrokken is bij de zaak Sandbrook genaamd Claire rekent op de bescherming van Hardy. 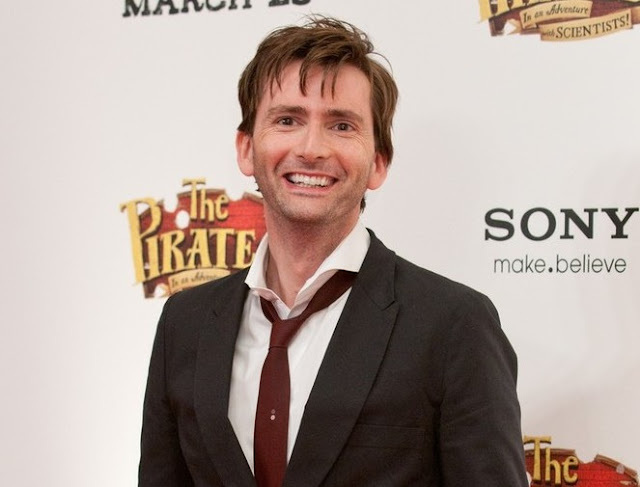 David Tennant's first guest episode of Jake And The Never Land Pirates now has a title, according to IMDB. The episode, which will be released as part of Disney Junior's Soaring Over Summer event in the USA, will be called Dread The Evil Genie. David will be voicing the eponymous Dread. It also appears that David's guest role may spread over into a second installment of the exciting pre-school animation. The epsiode scheduled to follow directly on from Dread The Evil Genie is called Dread The Pharaoh. And it's great news that Elisabeth is such a fan of David as the pair will be starring together in the upcoming biopic of R.D Laing, "Metanoia"
David has already spoken highly of The West Wing star saying "the presence of the brilliant Elisabeth Moss makes this something I cannot wait to start work on." You can read more about Metanoia here. And read Elisabeth's full interview with The Independent here. German broadcaster ZDF has confirmed that has acquired the rights to broadcast the second season of th UK series Broadchurch - but not until spring 2016. 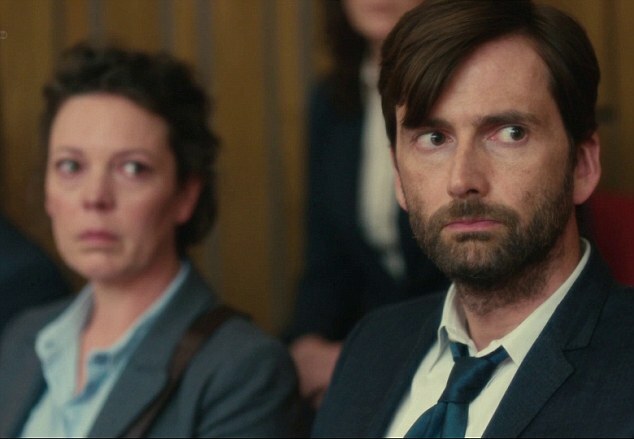 German fans have already had a long wait to see the first series of the award-winning murder mystery starring David Tennant and Olivia Colman. The show only aired on ZDF earlier this year, a full two years after its original UK premiere in 2013. The second season follows on a few months after the explosive conclusion of the first when the identity of young Danny Latimer's killer was revealed. With the murderer confessing the crime, the residents of the small seaside town are hoping for a speedy conclusion to the trial, but a last minute twist plunges them straight back the nightmare. Meanwhile, Alec Hardy is drawn back towards an old case and enlists Ellie Miller to help him. FX India have released a new trailer to advertise their transmission of Doctor Who. 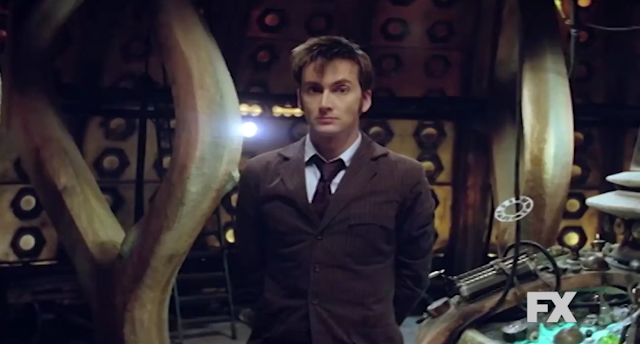 The trailer stars Doctor Who actor and writer Mark Gatiss and also features clips of David Tennant as the Tenth Doctor. Posted by FX India on Friday, May 29, 2015 Doctor Who is currently airing on FX India at 9pm on weekdays. Companion Tees have the following designs on offer until 1 June for just $14 / £9 each Click here to buy! The designs are also featured on a series of other merchandise including mouse mats, coasters and phone covers which fit all iPhones, as well as the Samsung S3, S4, and S5! They ship worldwide. Click here to buy! 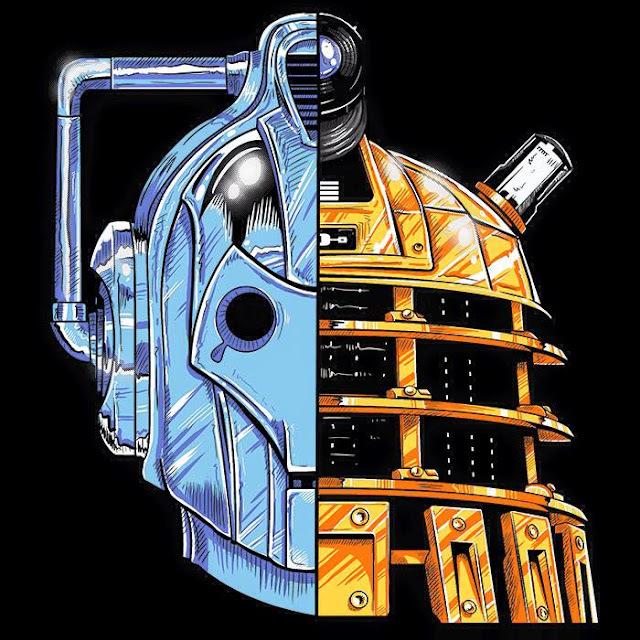 WhovianShirts have six fab designs on offer until 3 June. They cost just $10 for black and white and $14 for coloured designs. Ships worldwide from the USA. Click here to buy! Titan Comics have released a first look at their thrilling summer comic book event. The five-issue weekly special summer event series Doctor Who: Four Doctors runs during August and September this year. 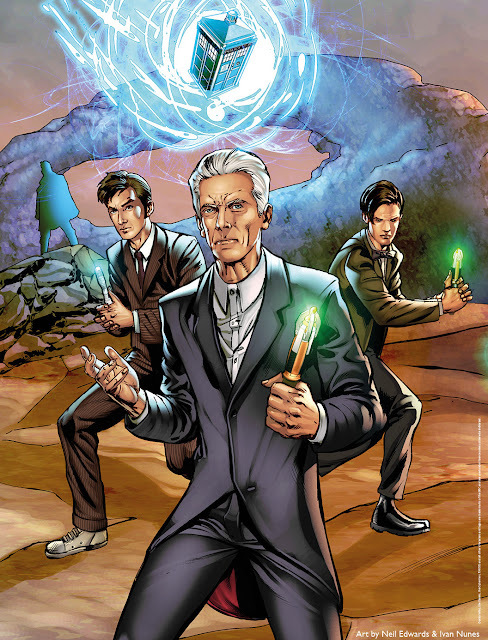 The special story features all three Doctors from Titan's ongoing series: the Tenth Doctor as portrayed by David Tennant on screen, the Eleventh Doctor (Matt Smith) and the Twelfth Doctor (Peter Capaldi) along with their comic book companions, including Clara Oswald (Jenna Coleman). In addition they'll be joining forces with a shady figure from their own past, the mysterious War Doctor, last seen onscreen in the 50th Anniversary special The Day Of The Doctor where he was portrayed by John Hurt. What We Did On Our Holiday, the heartwarming movie from the UK with a dark twist, now has an official US trailer. The BBC Films feature stars David Tennant and Rosamund Pike as feuding couple Doug and Abi McLeod who are embarking on a visit to Scotland for a family celebration. What We Did On Our Holiday Doug and Abi are taking their three children on a trip to Scotland for a big family gathering. They are in the midst of a difficult divorce, and have asked the kids to keep it a secret from their extended family. But as the inevitable feuds kick in, a completely unexpected turn of events involving the children causes further tensions to rise to the surface. And with the repercussions that ensue - hilarious and emotional in equal measure - the family are forced to put aside their differences and work together or else risk losing what they hold most dear. Today sees the cinematic release of BBC Films black comedy What We Did On Our Holiday across Spain. The film will be released under the Spanish title Nuestro último verano en Escocia. 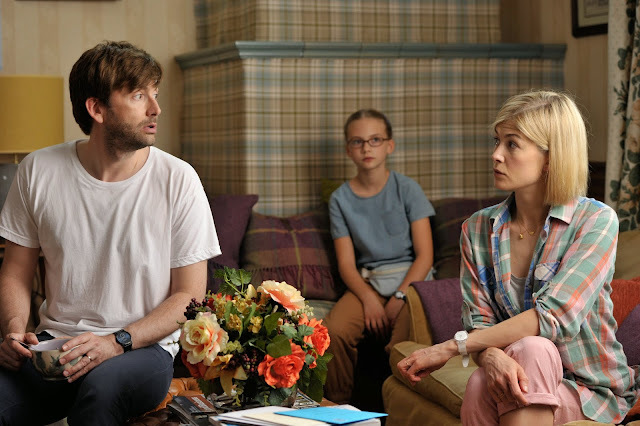 David Tennant and Rosamund Pike star as feuding parents Doug and Abi McLeod, with Billy Connolly, Ben Miller and Amelia Bullmore. What We Did On Our Holiday was originally released in the UK in September 2014. 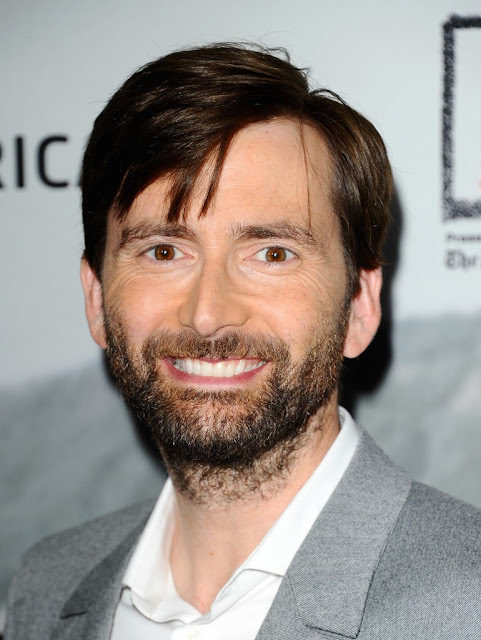 David Tennant will be one of a number of guest stars appearing in Disney Junior's Soaring Over Summer event in the USA. Disney Junior will debut a new episode of one of its hit series every weekday for seven consecutive weeks from Monday 29th June – Thursday 13th August. Series featured in the multiplatform event will include Doc Mcstuffins, Jake And The Neverland Pirates and Henry Hugglemonster with new episodes premiering each weekday at 9:00am ET/PT on Disney Channel and 7:30pm ET/PT on Disney Junior. The new episodes will also be available each weekday on Watch Disney Junior. David will lend his award-winning vocal skills to a brand new episode of Jake And The Never Land Pirates as an evil genie named Dread He’ll be joined by Nestor Carbonell (Lost), Brett Dalton and Chloe Bennet (both Marvel's Agents of S.H.I.E.L.D.) as fearless birds Eagle-Eye, Talon and Swifty. Exact airdates will follow shortly. 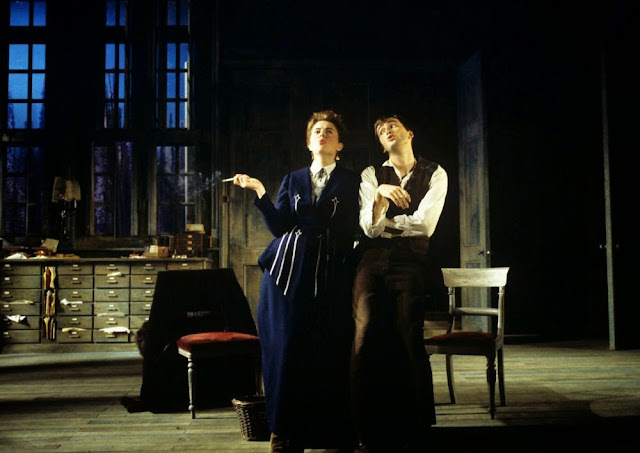 Today's Throwback Thursday post is a selection of photos of David Tennant in the 1999 production of Vassa at the Albery Theatre. David starred in the play as Pavel, the Daily Telegraph review said at the time "David Tennant is flesh-creepingly horrible as the crippled Pavel - you know you ought to feel sorry for the hunchbacked little nerd but his snivelling self-pity repels all sympathy." Also starring in the play were Shelia Hancock as Vassa, Anne Marie Duff as Lyudmill and Ron Cook as Prokhor. 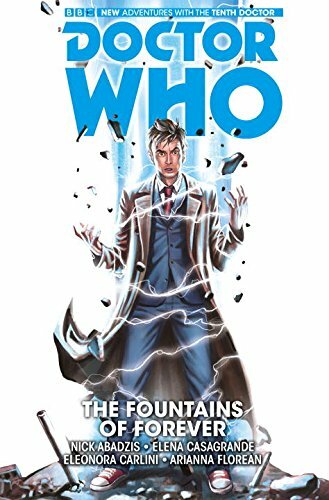 Volume 3 of TITANS Doctor Who: The Tenth Doctor comicbook series will be released as a hardcover book in December 2015. Returning to New York from her travels with the Doctor, Gabby has never felt more alive. But for her family and best friend, Cindy, barely any time has passed! For the Doctor, Gabby and Cindy, this is only the start of their greatest adventure yet, as a secret auction, a cult organization, an ancient artifact, an aging movie idol, a cosmic conspiracy and a cosmic threat from the heart of the universe collide in NYC to threaten all of reality! The heartwarming UK comedy What We Did On Our Holiday opens in cinemas in India on Friday 5th June. 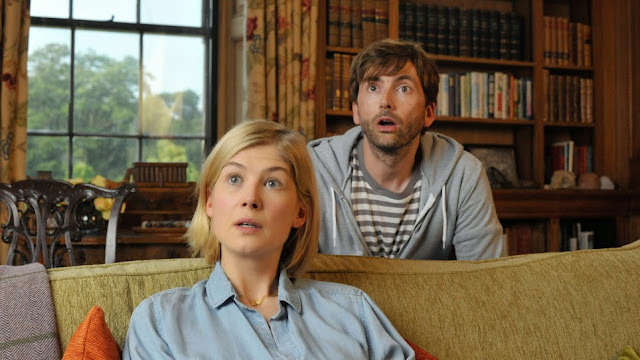 David Tennant and Rosamund Pike star as a feuding married couple who have to put their differences apart to travel to Scotland with their children to take part in a family celebration. The film is written and directed by Guy Jenkin and Andy Hamilton and also stars Billie Connolly and Ben Miller. The film is distributed in the Indian subcontinent by SGN Mediaworks. 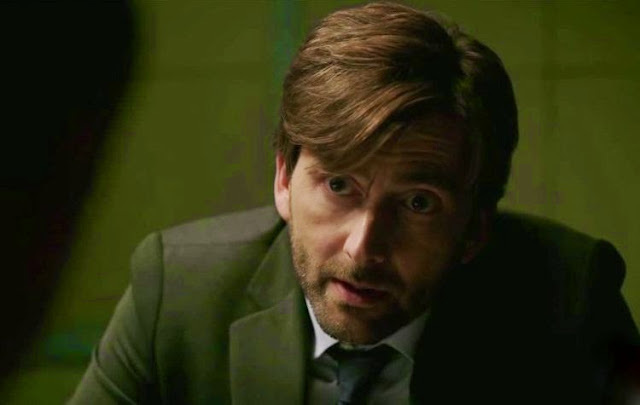 GRACEPOINT: Episode 9 Review - "How Could You Not Know?" Episode 8 of Gracepoint left viewers on a real cliffhanger. The closest encounter with the killer of Danny Solano yet left Detective Emmett Carver’s (David Tennant) life in the balance and there was an agonising seven day wait to see if he would pull though. Ahead of the penultimate episode of Gracepoint, airing tonight in the UK on ITV Encore, check out a preview clip featuring a tense interrogation. As time runs out for the murder investigation, Emmett Carver (David Tennant) questions a suspect who may have something to do with the death of young Danny Solano - but he's not prepared for the response he gets from plumbling apprentice Vince (Stephen Louis Grush). Please be aware the clip may contain spoilers. 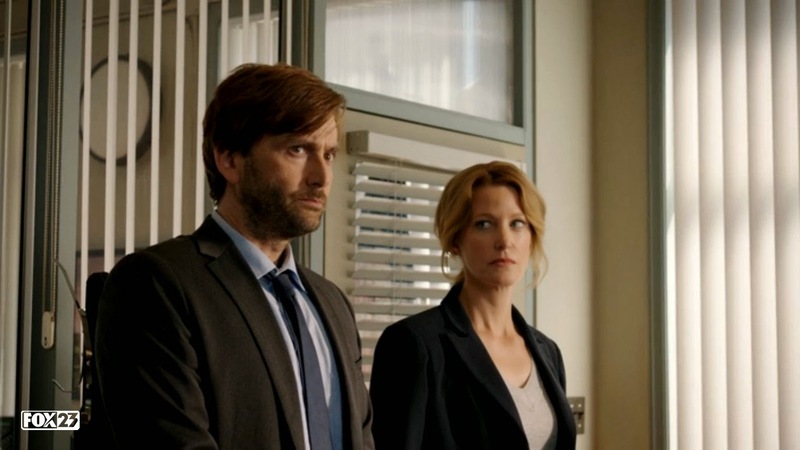 Gracepoint is the US remake of the acclaimed UK series Broadchurch starring David Tennant as lead investigator Carver and Anna Gunn as his colleague Ellie Miller. Viewers have seen new twists and new characters over the last few weeks as the drama has unfolded and are promised a different ending to the original. Gracepoint episode 9 airs tonight on ITV Encore at 10pm BST. Forbidden Planet International is now taking pre-orders for the all new 1:6 scale Tenth Doctor Series 4 Collector Figure by Big Chief Studios. 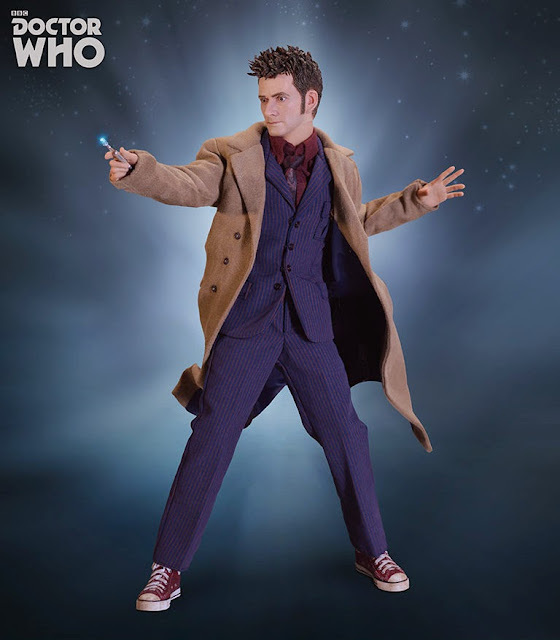 The amazingly detailed figure features a brand new head sculpt of Doctor Who star David Tennant and comes dressed in a blue pinstripe suit, maroon shirt, patterned tie, trenchcoat and red Converse. He also arrives with a host of accessories including his sonic screwdriver, brainy specs, sunglasses, psychic paper wallet as well as the Adipose detector and an Adipose figure. The figure will cost £179.99 and is expected to arrive in the Forbidden Planet warehouse by late November. The figure can also still be pre-ordered directly from Big Chief Studios who also offer payment plans and exclusive extras. Please be aware that the Tenth Doctor Series 4 Collector Figure is strictly limited to 2000 units worldwide. Exclusive Doctor Who Comics Day Merchandise!